�I am delighted to present some of the testimonials received from our clients, praising the way my colleagues represent themselves and the services offered by the Utility Advice Bureau�. Well done to all for the outstanding performance and contributions over the years. 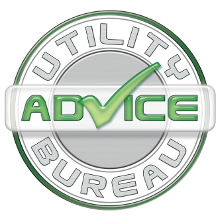 �Utility Advice Bureau has provided an on-going service to us over a number of years dealing with all aspects of our gas and electricity accounts. Through their service our company has saved in excess of �10,000 over a number of years. �Cornerstone Innovations operate a pub company with multi sites. Renewing contracts can be very time consuming and potentially expensive. The Utility Advice Bureau have successfully managed our accounts for a number of years saving me countless hours of work and always obtaining the best possible rates. They are very friendly and knowledgeable and always available to deal with any queries I have regarding our accounts. �I would just like to say thank you for sorting out our utility problems & believe me, utility bills have now become rocket science as far as sorting out contracts are concerned, so I am delighted with all the assistance you have given us. �We have been a client of the Utility Advice Bureau Ltd for about 6 years. They have always been very knowledgeable and helpful, and every year they manage to negotiate good prices for our electricity. We have experienced a couple of issues relating to electric meters and billing etc. and I have had to call on UAB�s help to rectify these issues.